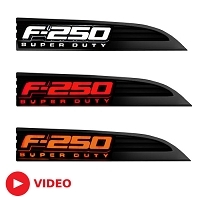 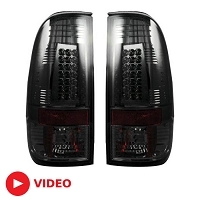 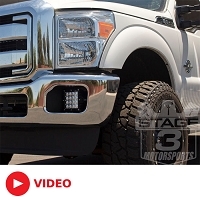 New F250 headlights, taillights, and off-road light LED bars are always a welcome addition to any performance truck and are a perfect way to make your 2011 to 2016 6.7L Super Duty stand out on the street, trails, job site, or dunes. 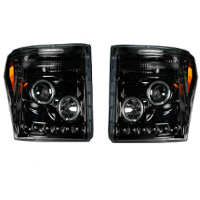 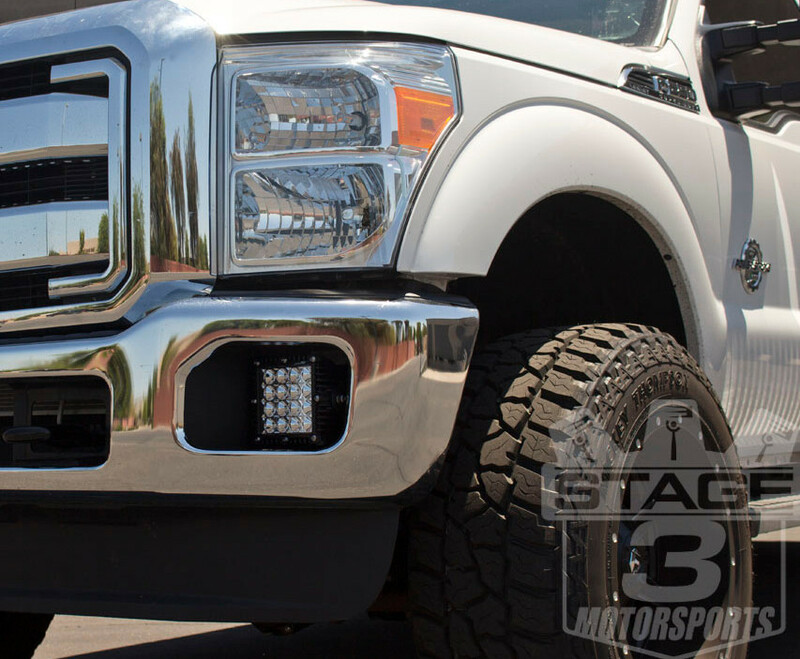 Our selection of aggressive F250 headlights replace your boring stock lamps with much brighter and stylish designs that can even come with brilliant LED halos around their projector lenses. 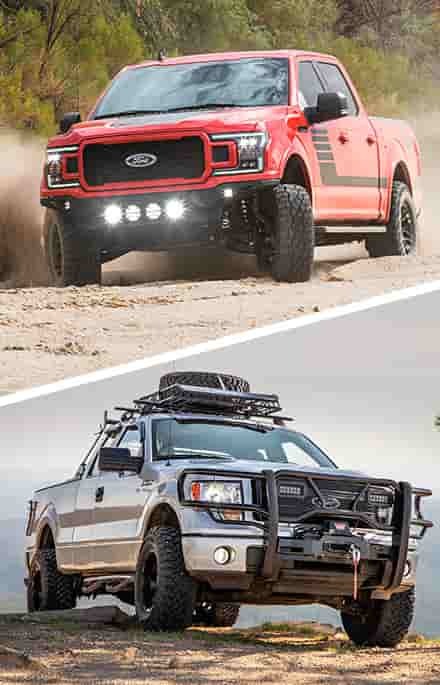 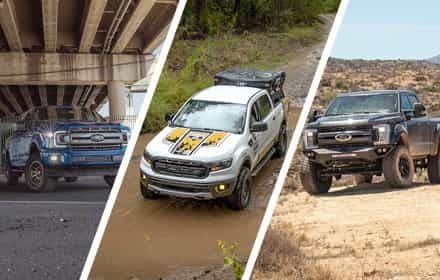 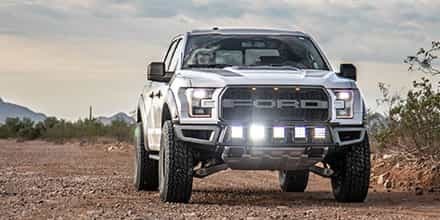 Stage 3's selection of 6.7L Ford off-road lights and LED light bars keep you safe during those black nights off the beaten path and will make your truck look like it can handle any challenge. 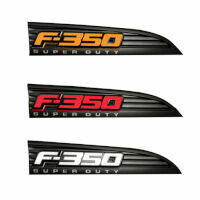 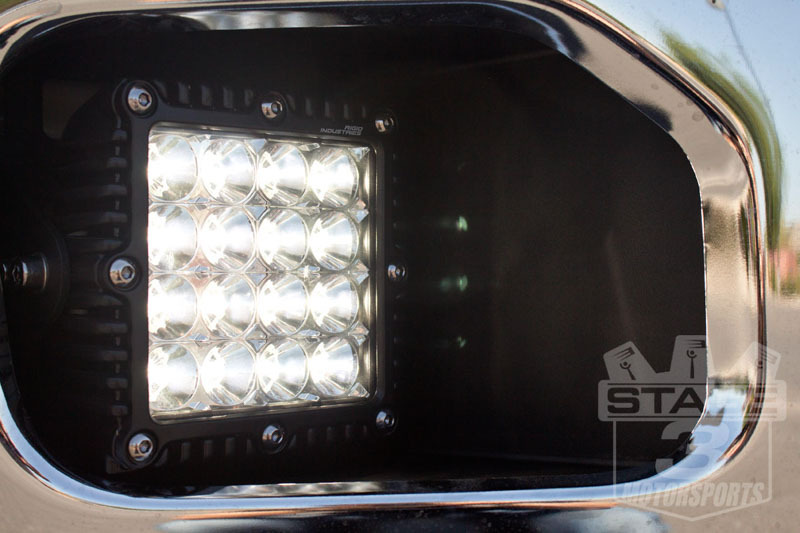 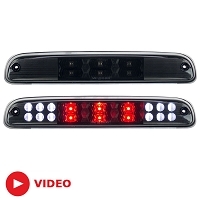 For reliable performance, mount these LED lights on one of our 2011-2016 F250 off-road front bumpers. 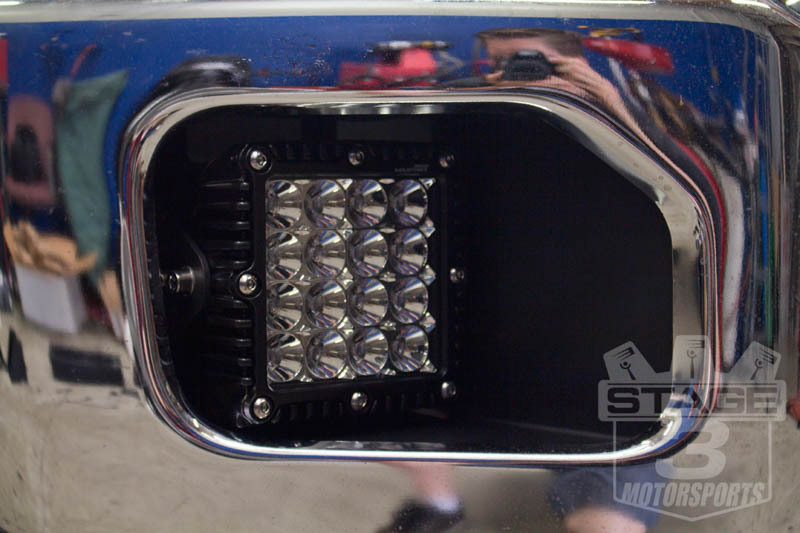 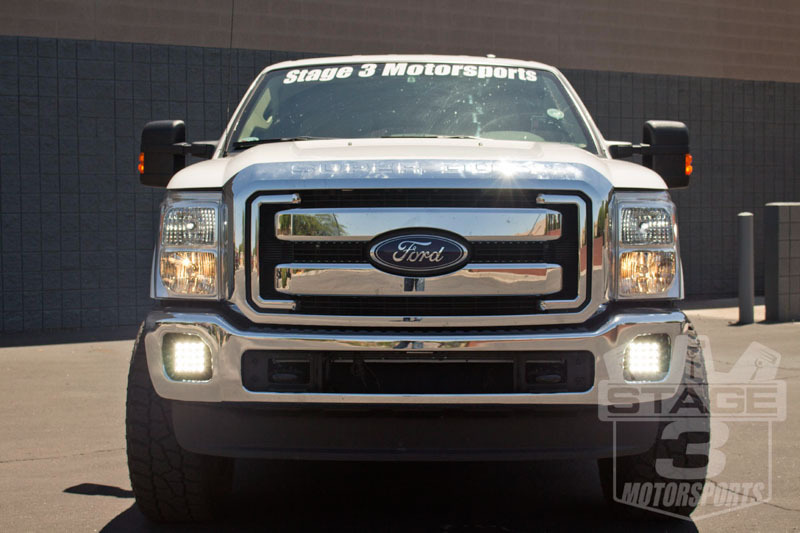 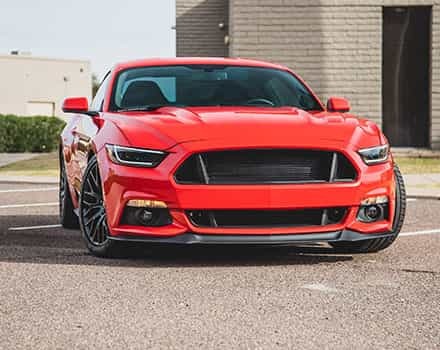 When it comes to off-road lighting, nobody does it better than our friends over at Rigid Industries and they've really come through with a solution for your 2011-2016 6.7L Super Duty's fog lights. 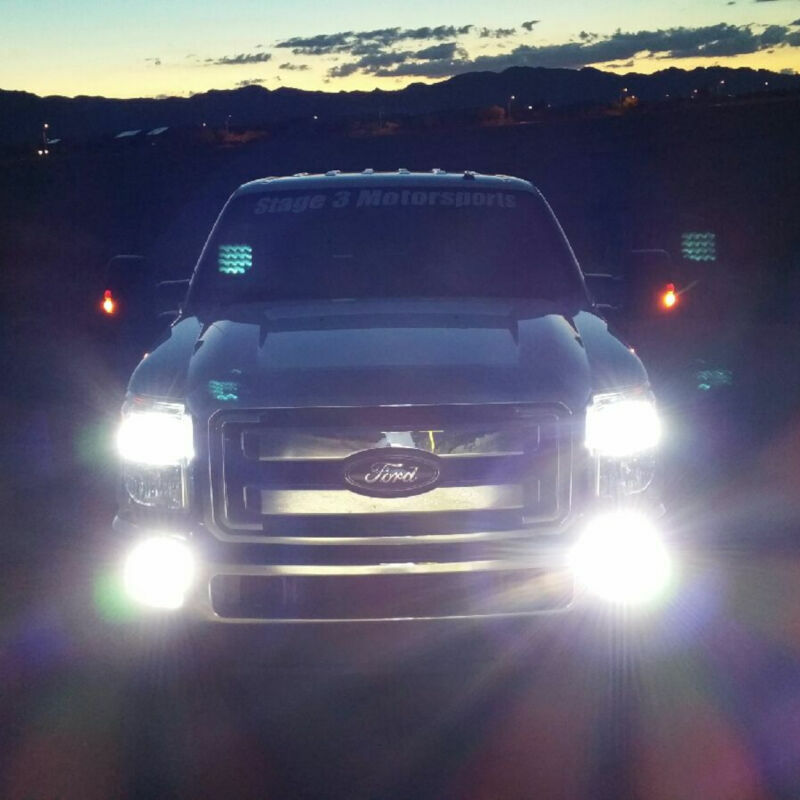 You can gain a tremendous amount of light for blazing trails off-road after the sun sets for work or play with a set of their new Q-Series LED Lights and we tried out a set on our own 2014 F250 6.7L Lariat Crew Cab. 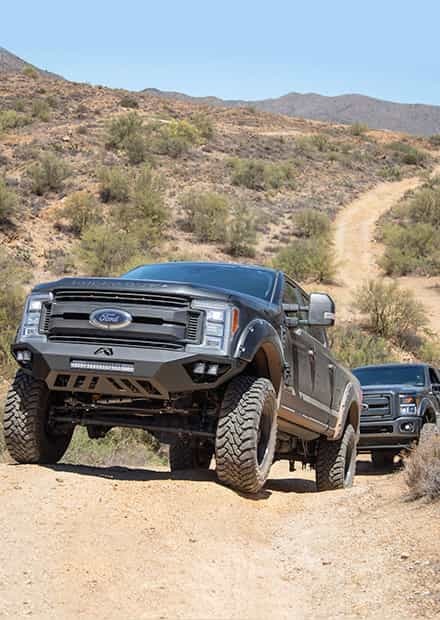 The transformation turns night into day as you can throw a wall of intense light ahead of your Super Duty with an amazing range of distance. 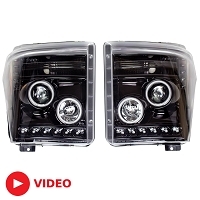 In order to get these lights installed on your 6.7L Super Duty with ease, you're going to need a special harness and wiring kit so we put together our own 2011-2016 Ford F250/F350 Rigid Q-Series Complete Fog Light Kit to help you get the job done without any hassles or surprises. 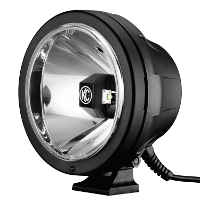 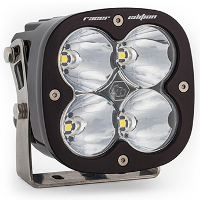 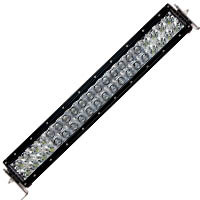 Each Q-Series LED Light is powered by 16 high-intensity LED bulbs that are housed in Rigid's heavy-duty cast-aluminum casing and protected by a durable polycarbonate lens. 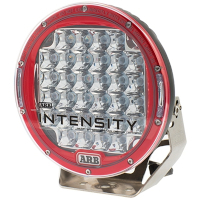 This makes for an indestructible lighting option that will not let you down and can stand up to some of the worst weather conditions and environments you can find off-road. 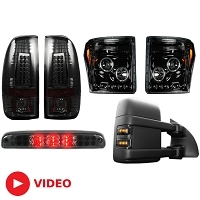 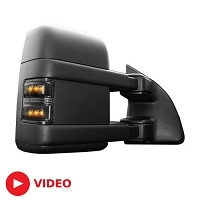 Our kit includes (2) Rigid Industries Q-Series LED Lights, (2) heavy-duty mounting brackets, an in-cab on/off switch, detailed instructions and all the plug-and-play wiring you'll need to get these up and running. 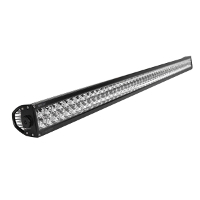 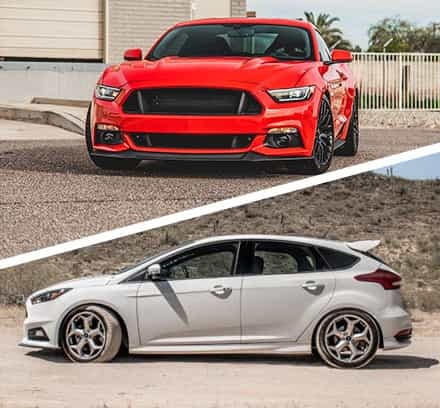 Depending on your night time off-road needs, our kit gives you your choice of beam patterns, including: Wide, Driving, Hybrid Spot or Hybrid Flood.